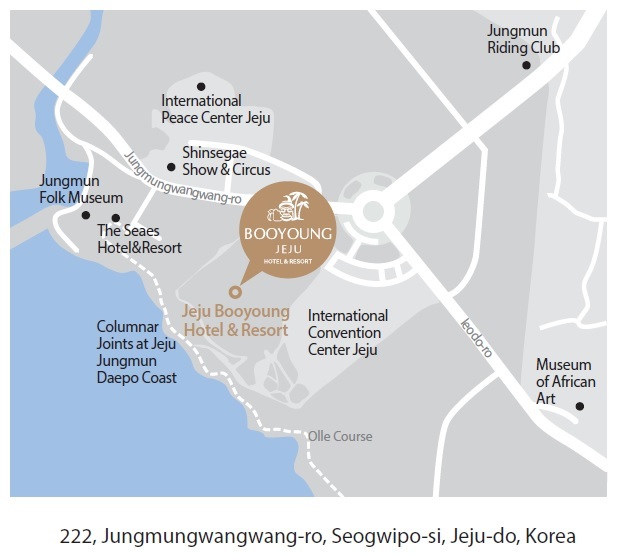 All participants are offered accommodation at Booyoung Hotel & Resorts, a newly-built deluxe hotel adjacent to ICC at our negotiated special price. Not only it is only 2-mimute walk to the conference venue, it has a scenic view of the ocean and proximity to the Olle Trail and other sightseeing areas. *1 Breakfast is included in the room rate.